Spring on over to The Block Pawty! 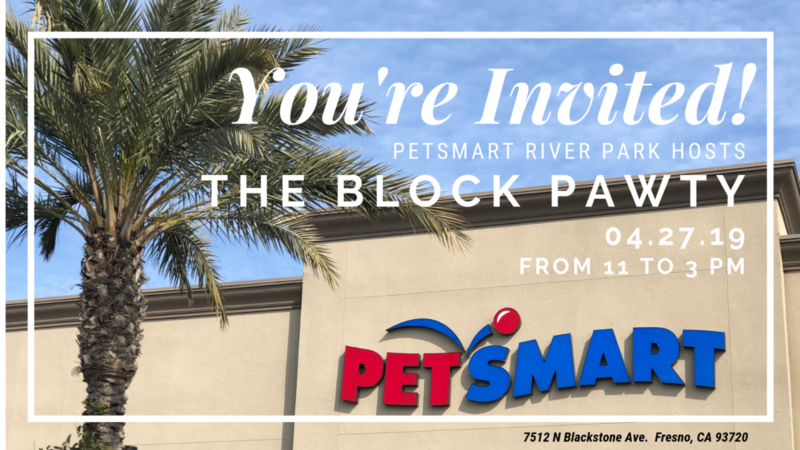 We are blocking off the parking lot in front of Petsmart River Park for fun, food & fur-iends! Bring your best four-legged pal to enjoy free dog food samples or find love at the event; adorable adoptables will be available from Fresno Humane, Animal Compassion Team (ACT), Fresno Bully Rescue & Cats by the Tracks! Our friends at SnoCafe will be offering delicious Sno-desserts for both you and your doggo. Quesadilla Gorilla will be serving yummy lunch for purchase. There will be fun for the whole family with free popcorn, face-painting and balloon animals!